Mobile applications have made the arduous climb up the corporate ladder where they have changed business models to the boardroom table due to the greater need for transparent, secure communication and data management. As of the third quarter of 2018, a little over 52% of global web traffic originated from mobile devices paving the way for board meeting apps. 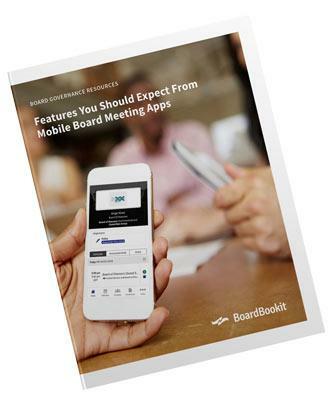 Mobile board meeting apps put the boardroom in the palm of your hand allowing for optimal guidance and decision making especially during time-sensitive situations. Your board meeting app should make governing easier and more intuitive.